When planning a Branson vacation, one of the more important decisions you will have to make is where to stay. It may just be the two of you, or it could be your entire family, including Rover. Dogs are family members, too, right? You could choose to stay in a hotel, but why should you when we here at Sunset Nightly Rentals offer amazing Branson condo rentals that are both lavish and sensibly priced? Even a studio condo will be more spacious than your standard hotel room and quite frankly, it is difficult to find hotels that really look the way they do in their pictures. 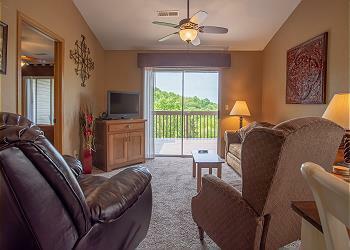 Take advantage of everything your Branson condo rental has to offer! We at Sunset Nightly guarantee you will get exactly what you see - our reputation depends on it! Read on for more information, or click below to see our incredible Branson Vacation Rentals and Branson Condo Rentals! Score the best vacation game of your life at the perfect price when you book this adorable 1 Bedroom Suite! 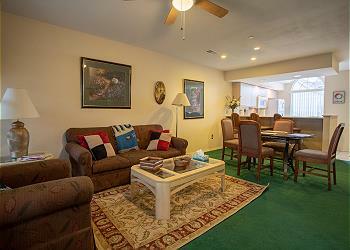 Curl up and enjoy your vacation fun when you rent this 1 bedroom condo in Stonebridge Resort! 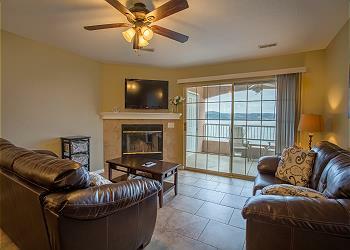 Stay at this 2 bedroom, 2 bath condo located at Eagle's Nest Resort on Table Rock Lake. Sit back and enjoy the view from the completely screened-in deck of this pet friendly 2 bedroom/2 bath condo located at Fall Creek Resort. Get the perfect view of Lake Taneycomo by staying in this personable condo! Be graced with affordable comfort and style when you rent this beautifully renovated 2 bedroom rental at Fall Creek Resort! A quiet, tranquil escape with Lake Taneycomo right outside! Enjoy the private patio overlooking the Golf Course and a lake. King size bed in each room plus each bedroom has a full bath. Enjoy your private balcony on the golf course with a beautiful Penthouse view. 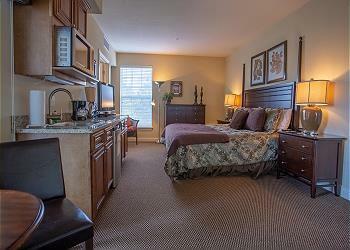 Two Bedroom's with vaulted ceiling's and a king size bed in each bedroom, plus each bedroom has a full bath. Enjoy your private balcony overlooking hole #2 on the golf course. Two Bedroom's each have a king size bed, plus each bedroom has a full bath; the master bath includes a Jacuzzi tub for two. Peaceful and Serene 2 Bedroom Condo with a king size bed in each room plus each room has a full bath; the master bath includes a Jacuzzi tub for two. It may not be popularly known, but renting one of our Branson condo rentals for your vacation has some hidden benefits you won't easily find in your standard rental. Even larger families can benefit from a condo, many of our Sunset Nightly Rental Condos can hold as many as 10 people comfortably; condominium doesn’t necessarily go hand in hand with small as our largest unit is over 1800 square feet! Renting one of our Branson condo rentals can save you money in different ways; rental prices are generally lower, and because condos are often in resorts or communities that have pools, hot tubs, game rooms, and even movie rooms, you don’t have to be out and about spending more money - it’s all there for free use at home! 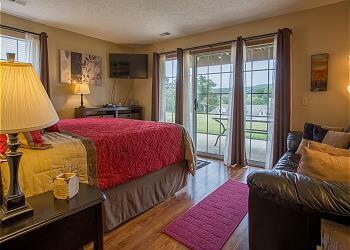 Check out our rental condos in Branson MO to find the perfect one for you! Even when staying at our smallest condos in Branson MO for rent, Cozy Condo at Stonebridge, you will find everything necessary for a premier vacation - flat screen televisions, cable, Wi-Fi, internet access - all encased in a cozy yet lavish studio Branson condo rental! Spend your days golfing - this condo is in a golf community - and then soak your aches away in the jetted tub. Swim in a community pool, hike the nearby nature trails or play tennis with the love of your life in between sightseeing trips and dinner shows at the amazing theaters Branson is famous for! Vacationing with the family? (Including the aforementioned Rover?) Many of our vacation rental condos and homes are pet friendly! Some of our Branson condo rentals offers an indoor swimming pool, an exercise room, and community hot tub. Some are in a golf course communities or in a quiet neighborhood that’s not far from the bright lights of Branson's exciting downtown! The golfers in your family will feel right at home when staying in this golf course view condominium. 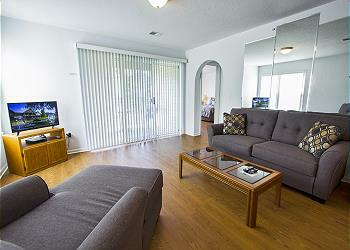 This spacious and bright unit sleeps 10, making it the perfect spot to host a destination bachelor party! Enjoy an early breakfast at the Ledgestone Grille before hitting the tee box for a day of golf and relaxation. Ledgestone Country Club is just steps away from your sportsman dream condo! And because your celebration on your departure from bachelorhood would not be complete without a good cigar, Branson Cigar Company should be added to your list of places to go—perhaps moved to the top of your list? Browse our many condo rentals in Branson MO if golf isn't your cup of tea. Located deep in the woods of the Ozarks, this 2-bedroom Branson condo rental sleeps six and is close to everything that is wonderful about Branson, while still managing to feel secluded, private, and off the grid. Enjoy a delicious pizza for dinner from Ozark Mountain Pizza, spend your days exploring the aisles of RZ’s Antiques & Flea Market, and spend your evenings laughing at the Comedy & Meatballs Dinner Show in downtown Branson; this Branson vacation in your Sunset Nightly Rentals Branson vacation condo promises to be the best one ever! Book Your Very Own Branson Condo Rental Today!